Give the Playstations and Xboxes of this world a retro companion. Kinda like having a veteran in the locker room to lead the rookies. Sign Love Hultèn’s R-Kaid-R to a lifetime contract. 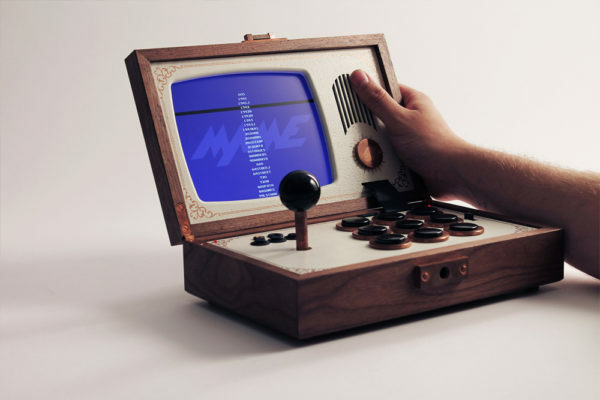 This retro arcade console folds out to reveal an 8″ LCD screen and custom-made joystick. Emulation unlocks the console worlds of Neo Geo, Playstation 1, Atari 2600, Super Nintendo and so many more. Don’t worry about running out of juice, since the battery provides 8 hours of gaming euphoria. They’ll only produce 50 so get this into your gaming locker room now. Click clack click clack. What’s that sound? Probably not your computer keyboard. It used to be the sound of typewriters, those things in the 1970s people used to type letters and novels. Then, the computer came along and made them obsolete. There are those who still yearn for these machines of old like Brian Min from Walnut Creek, California. He invented the Qwerkywriter ($309), an 84 key USB and Bluetooth-enabled, typewriter-inspired mechanical keyboard. 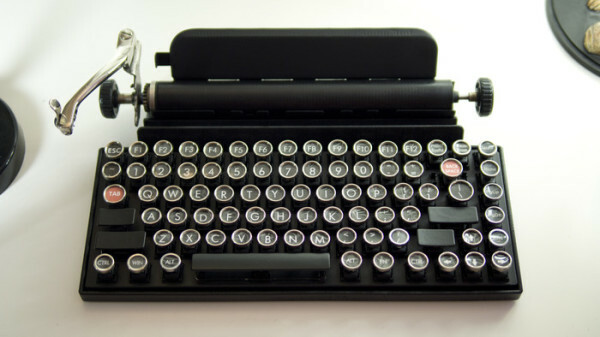 This gives you the tactile feel of typewriters. Pretend you’re writing out the latest pulp novel. The Qwerkywriter also has a stand to slot in your tablet. Go here to check it out. Remember those calculator watches back in the 80’s? Let’s just say they weren’t the coolest accessory around. Now, we’ve got a bunch of fitness trackers, smart watches and what-nots that no one will ever wear on their wrists because they don’t look good. Well, Withings changes that. 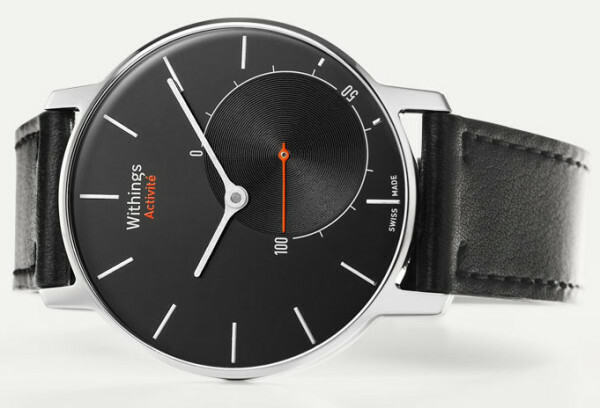 They have a new fitness tracker, the Withings Activité ($390), that also doubles as a sharp-looking Swiss watch. Sync it with the Health Mate App to develop fitness plans, track objectives and the thing also tracks your sleep cycles. Whaaat? Yup. It runs on a normal watch battery and comes in black and silver. Finally, a company gets it. Lifeblogging will become much easier with inventions such as Lightbox. This tiny, smartphone camera extension clips to your shirt and lets you capture large parts of your day for posterity. Lifebox measures 1.5″, holds 8 gb onboard memory and its waterproof, aluminum body weighs about 30 grams. 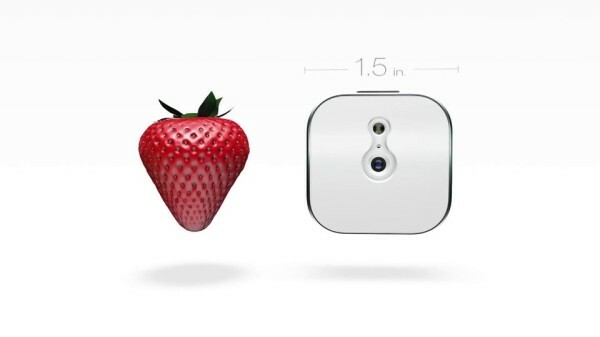 A single button lets you record 12 second videos, take photos or record audio and upload it to the cloud. The cloud I say! Imagine filming your day at age 25 and reliving it at age 85. Marvel at how young you used to look and not the shriveled old man you’ve turned into at 85. Microsoft still wants to force their line of tablets, the Surface, into mainstream use. They won’t stop until the bitter end. With the Microsoft Surface Pro 3 though, their efforts might yield favorable, or at least better, results. 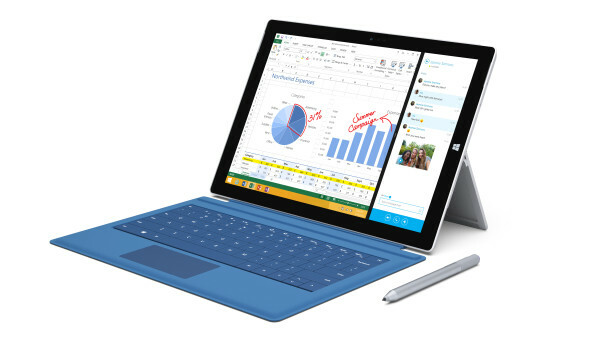 The overwhelming goal of the Surface Pro 3 appears to be the obliteration of the laptop. They’ve redesigned the Surface Pro 3, increasing its display to 12″, reducing its thinness by 9.1 millimeters and lightening its load by almost 2 pounds. The Surface Pro 3 now has a “friction-hinge”. Working on previous models of the Surface was never an easy task. The screen only had so many fixed positions, creating awkward viewing, unadjustable angles. This hinge now goes back further and makes screen viewing a lot more comfortable. 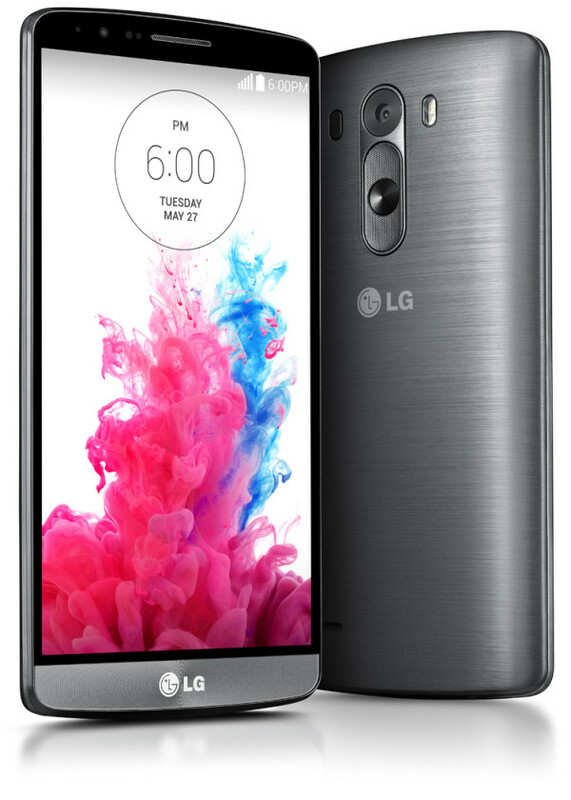 You’ll also get a 3:2 aspect ratio, a pixel-packed 2160 x 1400 panel offering brighter and sharper colors. It’ll run on Windows 8.1, comes with 64 to 512 GB internal storage and RAM from 4 to 8 GB. Base models start at $799. The Nintendo Entertainment System first came out in 1983. From that day on, it revolutionized the gaming industry for the better part of almost two decades and inspired many, many hours in front of the tv. Super Mario Bros, Duck Hunt, all classics. Probably best of all, it’ll be compatible with both American and Japanese releases. These Japanese releases were not released in the US, so that’ll be a treat. Controllers will set you back $50 and HDMI adapter costs the same. 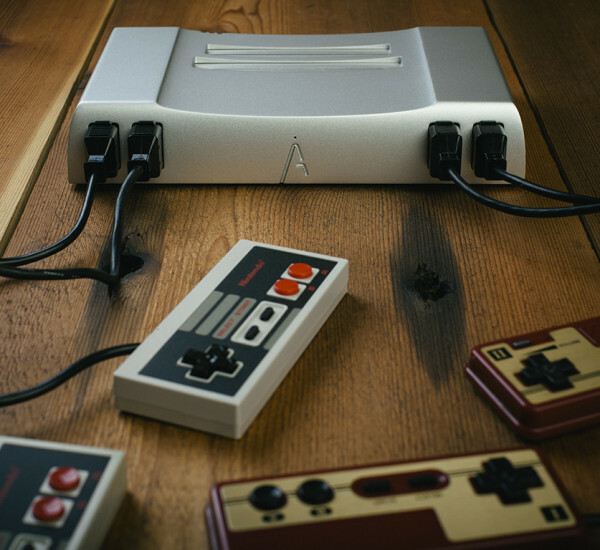 Obviously, it’s a little pricier for the original NES, but you get a classy version of a classic console.